Best early retirement planning, best do it yourself. Not everyone will be encouraging...so be ready. 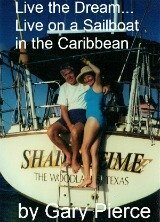 When we announced that we were planning to retire...when I was 49 and had a successful commercial real estate practice...and live on our own sailboat and live in the Caribbean...well let's just say that I didn't get a lot of encouragement. But always remember who is retiring and who is still going to be working. The longest journey begins with one step...to do the best early retirement planning requires you to take that one step...no one else can do it...you have to. The reactions had one common thread... No one was positive about our decision for this drastic lifestyle change. If you are prepared for such a negative reaction to early retirement you won't become surprised or discouraged when it happens. In my opinion, the reason for such reaction is jealousy and envy among your friends, family and coworkers. Your financial planner is losing a client. They think they can't retire so why should you be able to do so... Many have so many debts they can only imagine and dream of early retirement. The only reality they can see is no further than their paycheck every two weeks. If you follow the principles outlined on this site, you have been prudent and live within your means...now you can reap the benefits of frugal living. The very best early retirement planning assumes that you are doing everything to maintain a healthy lifestyle. You should be eating right and exercise regularly to be able to enjoy your retirement. When you grocery shop, you stay away from the interior of the store... Where the process foods are... And concentrate on items on the perimeter of the store... produce, lean meats, dairy products etc. You get regular checkups and do not waste money needlessly on health insurance. Without your health you can have 10 mil in your 401K...what good will that do? Maybe make the probate lawyers happy. Every one of us is a day closer to our obituary. You will not be reminded by your financial planner that the longer you work the less time you will spend retired. This is one of the basic flaws in most financial plans for retirement. If you want to retire to play golf... How many people do you know that hit the golf ball further at age 65 versus age 50? My drives now were where I could hit a 3 iron 10 years ago...who carries a 3 iron anymore? !0 years ago my handicap was 2...it is still a 2...with a 1 in front of the 2. If you want to retire to do some hiking... What good does it do you to wait until your hip is replaced? 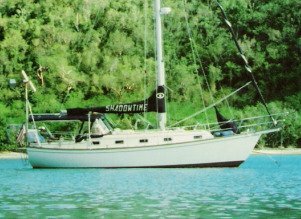 Could I still go to the top of the mast on our sailboat... 53 feet above deck... To change a lightbulb today? Place emphasis on your age for your best early retirement planning.